1. 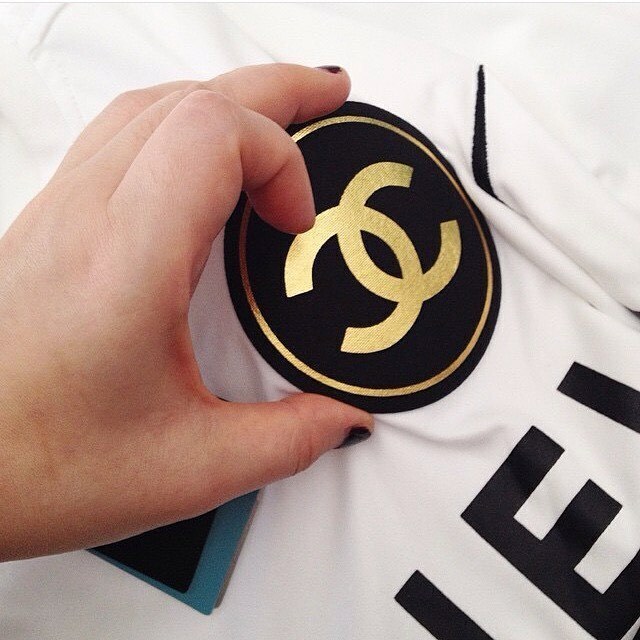 Correct size and ratio of Chanel patch not print on. 2. Three washing tags plus little tag with serial number with size. 3. 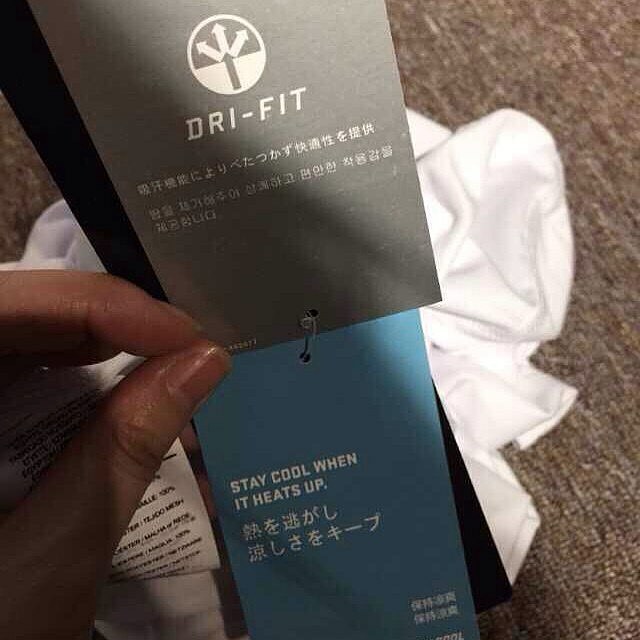 Dri-fit made, made in Egypt. Washing tag also matching. 4. 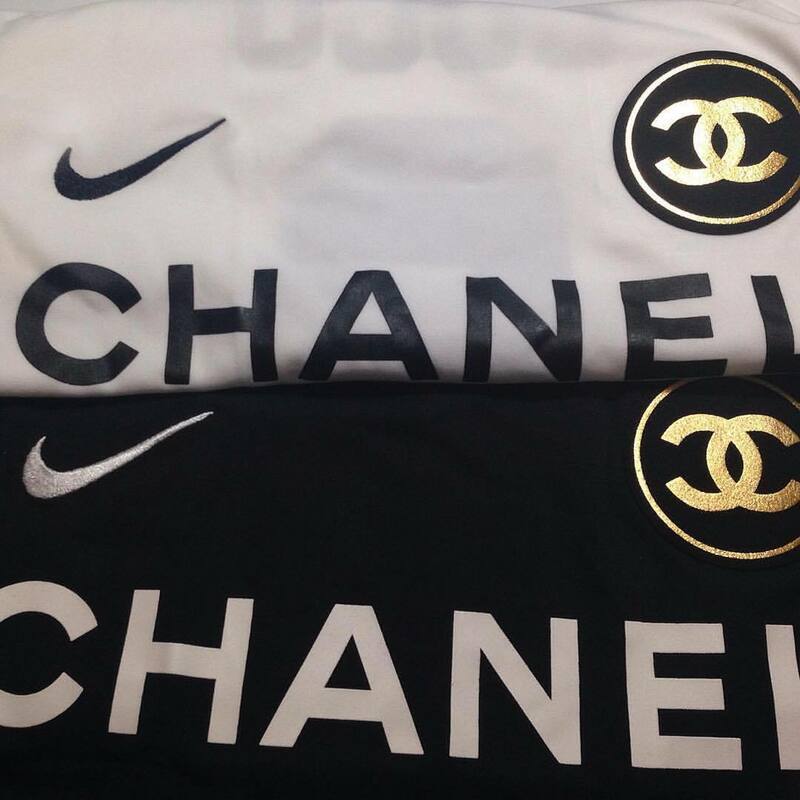 Correct size and font of Chanel. 5. 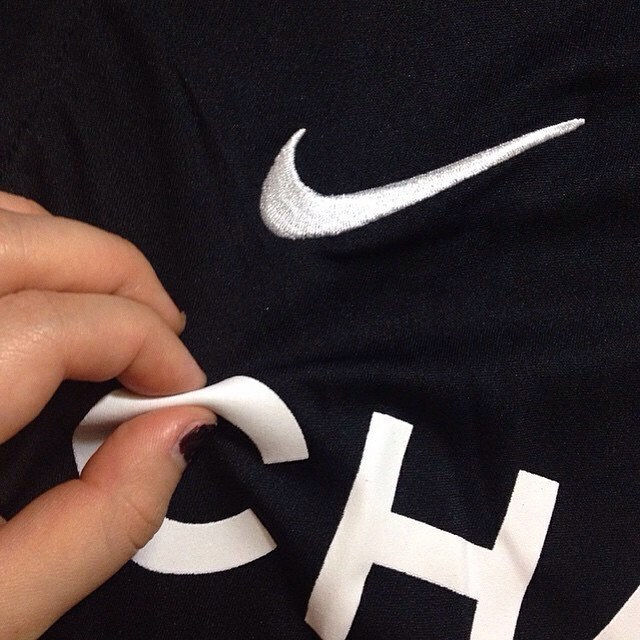 Correct Nike swoosh not the weird looking one. 6. 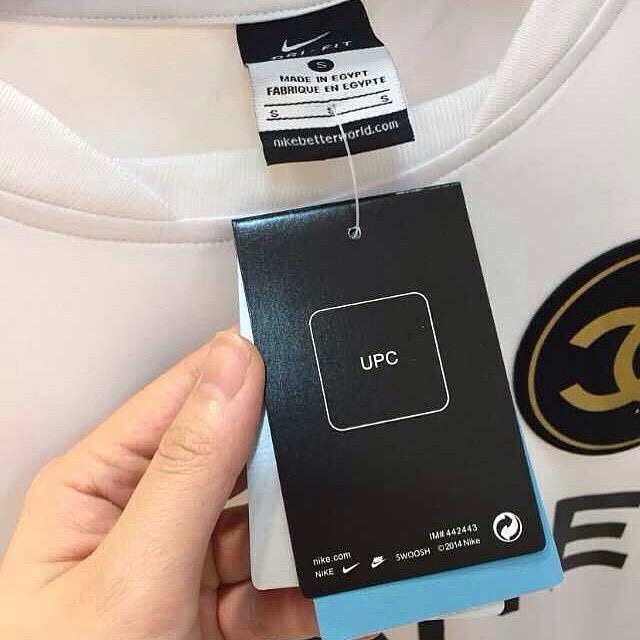 Paper tag dri fit made. 7. 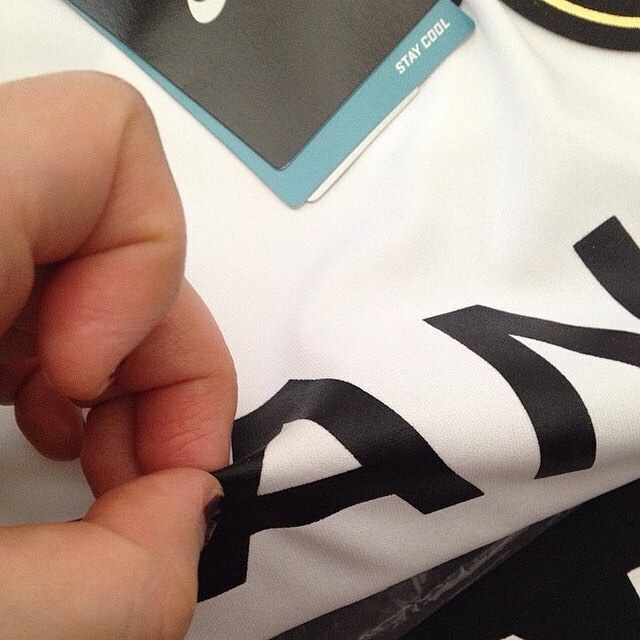 No glue looking DIY print on see how we folded the shirt and it is still very soft. 8. 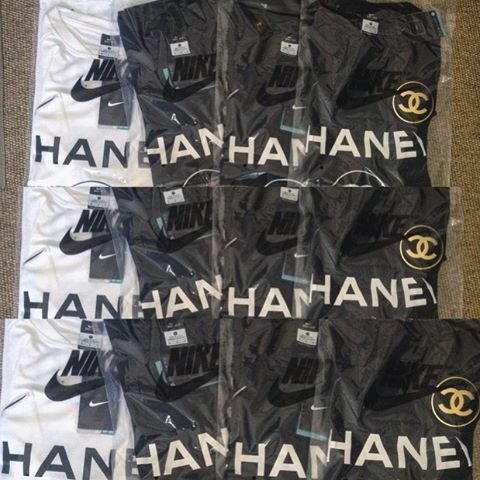 Nike jersey packaging not dirty fake Chanel bag. 9. 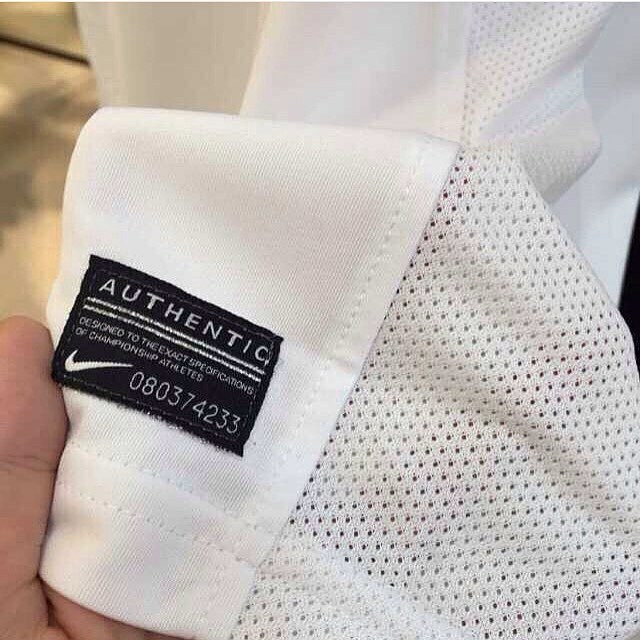 Authentic tag and dri-fit embroidered down the bottom of the jersey. 10. 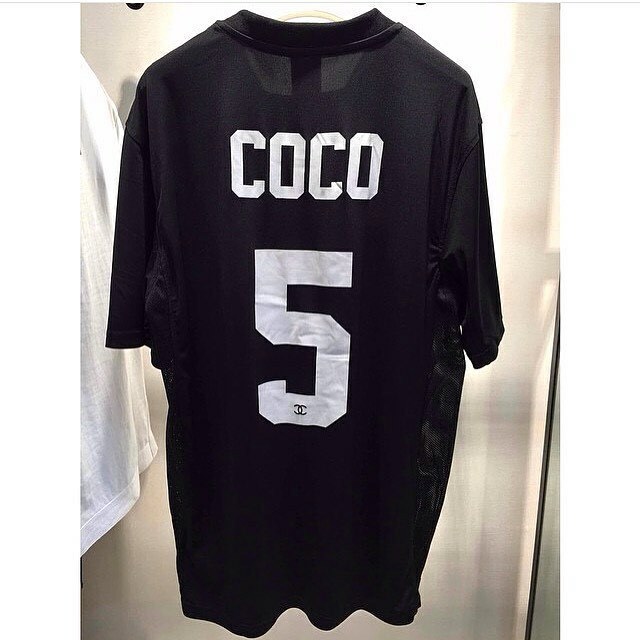 Coco 5 on the back.